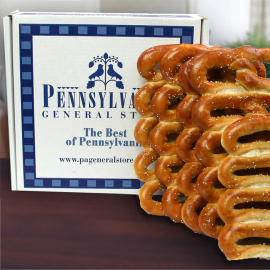 Baked in the heart of South Philly, these soft pretzels have our World Series winners spirit. 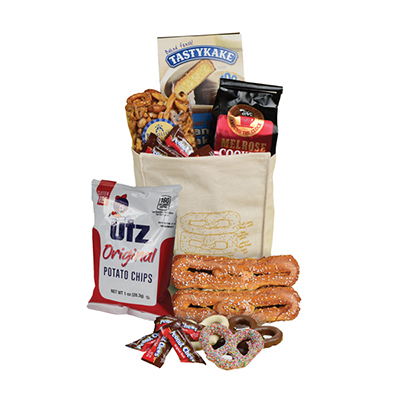 We pack these hand rolled "Phillies" soft pretzels with mustard and salt on the side in our Pennsylvania General Store gift box. 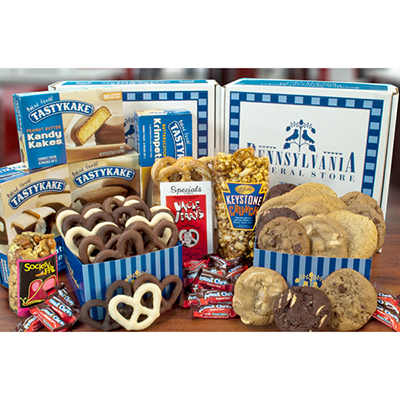 This package is shipped Monday thru Thursday and cannot be shipped to APO, FPO, PO Boxes or internationally. Depending on time in transit, this item may require air service shipping.